Particle size analysis software costs $ 900. Detailed description of the project here. Pharmaceuticals, food processing and industry materials are the main fields of particle size analysis applications. Within these industries, milling or grinding are often used in manufacturing, so solid material particles sized from a few microns to millimeters are the most common objects of technology control operations. 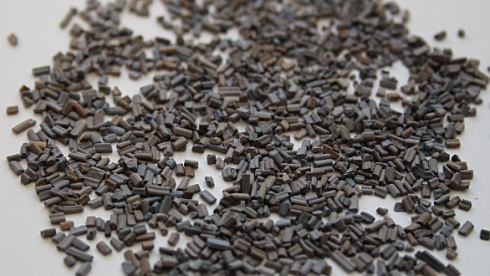 Example is an analysis of catalyst pellet size. But the absolute size of particle is not the only key parameter to measure at manufacturing processes. For many products, homogeneous particle size distribution within product volume is another important indicator of high quality of the final product. Automation in particle size analysis is very important in cases of mass-volume manufacturing. Otherwise, the batch of manufactured products can be inhibited without in-time approval from the control laboratory. At on-premises lab, many manual operations for the measurement of solid material particles by the microscope can be replaced by use of a scanner with specialized particle size analysis software. There is a number of particle size analysis software apps on the market, both open source and proprietary ones. When choosing particle size analysis software, considering its cons and pros for your application field, budget and personnel skills. As usual, open source apps will require customization and tailoring with some kinds of plugins and third-party libraries, or using additional software components such as the Java compiler. This way might not be easy for most of the customers and it is definitely not “out of the box” option. Commercial software allows to obtain particle size analysis automation in reasonably short time, while minor customization will probably need at this way as well. Price/performance and cost of customization are key factors to choosing commercial particle size analysis software. Think about this balance when evaluate proposals from different software vendors. Developed for large chemical enterprise, Altami Object Analyzer automates complex for quality control measurements of catalyst pellets at lab condition. It includes custom-developed software and Windows-based PC with hi-end desktop scanner with 6400 dpi resolution. Scanner lens could determine objects of 5 microns and over size. The software could manage images output from the scanner in the application window, proceeds particle size analysis in the form of the application tables and graphs. It measures pellets parameters of length, diameter, form (ball, stem, trefoil, quatrefoil, etc). Altami Object Analyzer software delivers statistical calculation of particles parameters and generates product quality acceptability report. With Altami Object Analyzer, catalyst pellets size analysis is conducted faster while manual operations were reduced at about 90% rate. When looking for real automation in particle size analysis, consider Altami Object Analyzer software as application with proven efficiency in chemical industry. Just buy it directly from Altami with genie technical support and expert advices. We also propose Altami team as your project developers. We’ll analyze your production technology, select the most suitable methodology for particle size analysis and build custom-tailored system which delivers most reliable measurement results for your case.